NOTICE: This Monday is the last day to submit your answer for the food riddle, so do it for your chance to win! Learned League precedent (LL74, MD2) – The small dumplings, usually filled with minced meat or mashed potatoes, that are traditionally served on Rosh Hashanah or before the fasting of Yom Kippur are most commonly referred to by what Yiddish-derived name? I do think this is a clever question for Jewish penicillin, but unfortunately, I just learned the word kreplach for use of this question, and never actually learned what it was. Had I took the time, I would have learned it. I am now 0-1 for food questions. In honor of this new found thing, let’s ask questions about dumplings! Enjoy. 1. A type of popular Chinese dumplings are jiaozi. The pan-fried version of jiaozi are guotie, which translates to what in English? They are literally doing it in the picture shown below. 2. From the Italian for “navel shaped”, name the Italian pasta seen here. 3. What doubly sounding dish is shown here, a dumpling served in Nepal, and is certainly not made from flying lemur? 4. The emoji seen here is an official Unicode symbol for what Japanese dumpling, whose hanami variety is used for your phone? 5. A favorite of Mr. Teo of the New Orleans Saints, name the Turkish dumplings seen here, usually made with lamb or beef, and often with a onion garlic yogurt sauce? NEXT WEEK: It has come to my attention that I should know more about Jewish foods. But then again, more foods in religion in general. 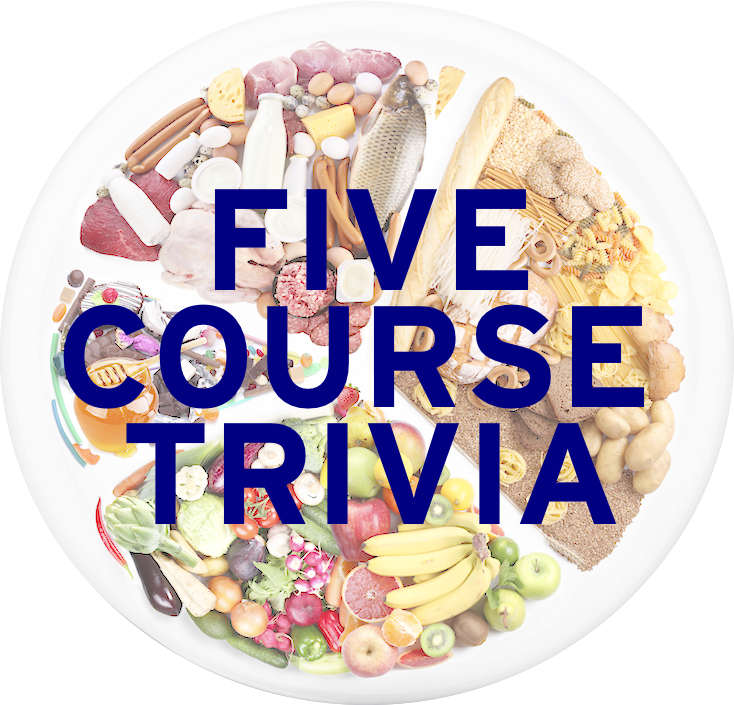 So, we’re celebrating Holy Week on 5CT, with questions each day about foods eaten in Judaism, Buddhism, Islam, Hinduism, and Christianity. Praise be.